Adopting high intension flexible chains as conveyor load, can be conveyed as beeline and turning. Having better adaptability and economy, steadily conveying, little turning radius, low noise, low abrasion, easy cleaning and easy maintenance. Width: 43.5, 53, 53.2, 55, 57.2(mm), Pitch: 50, 63.5, 82.5(mm), turning Radius: 150mm, reverse Turning Radius: 50mm. 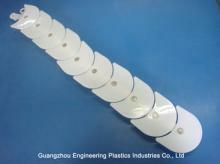 Main Body Material: carbon steel with plastic coated, stainless steel. 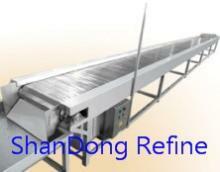 Widely used in food, beverage and commodity industries. 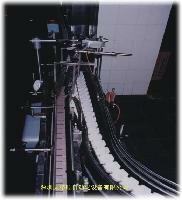 We are profressional at manufacture high quality plastic Sushi Conveyor Chain.